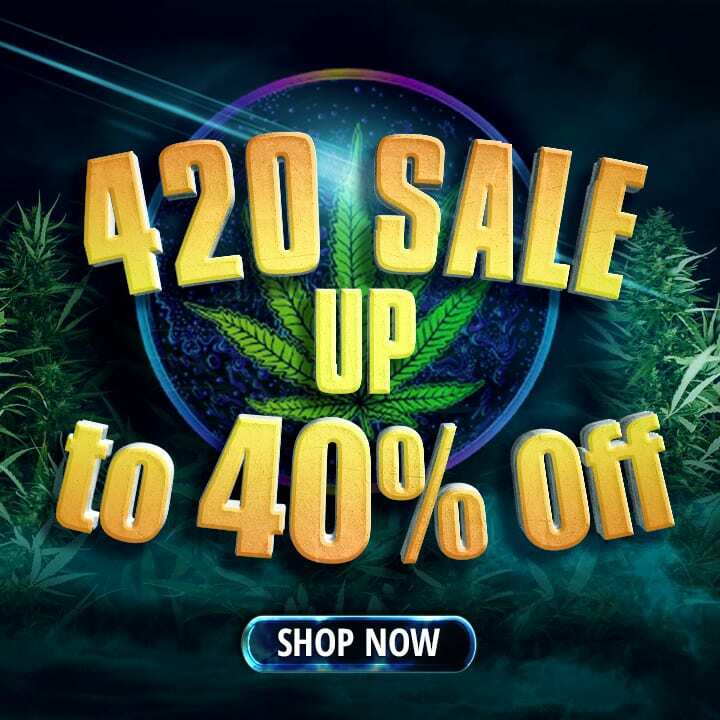 Green Society is an online dispensary in Vancouver, British Columbia that specializes in an amazing variety of cannabis products, including edibles, CBD products, concentrates and top quality flowers. 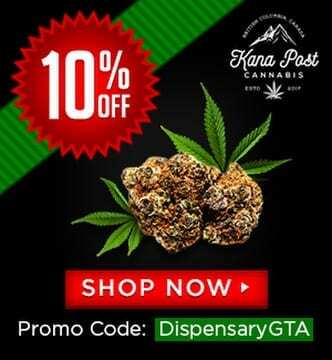 Indeed, Green Society has proven to be a favorite amongst our DispensaryGTA readership and for good reason, their quality and pricing are unmatched. Their inventory is hand-picked to ensure only the best quality product is available for their invaluable customers. 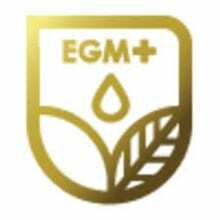 The products had Green Society branding and overall; the complete package was professionally packed, vacuum sealed and branded. 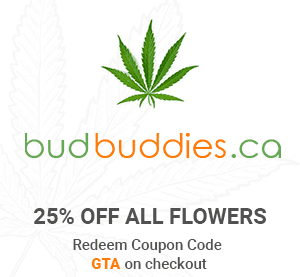 You could also tell extreme care was taken with each beautiful bud. 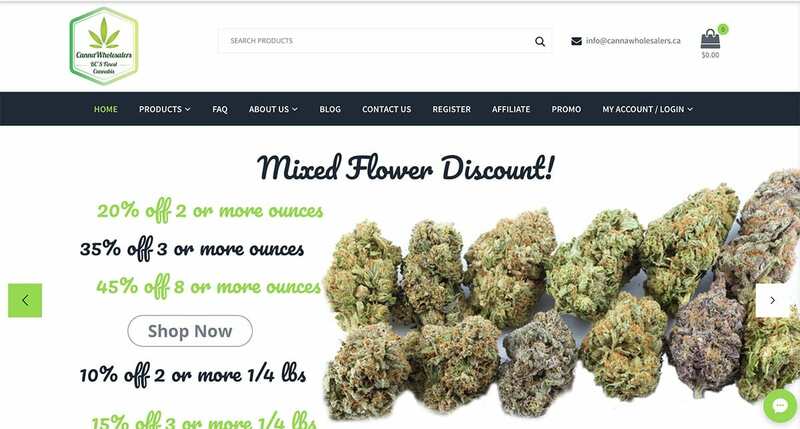 We think all Canadian online cannabis dispensaries should take after Green Society’s lead when it comes to smart, simple, professionally packaged and effective; branded packaging of their products. It had been a while since I had one of my favourite cannabis strains of all times. Slowly, I opened the jar and took a peek at my long-lost friend, Sensi Star, from Green Society. My eyes were met with a sparkle from the crystal trichomes covering the dense, bubbly buds that appeared to be glowing in the darkened room. A warm fuzzy feeling came over me as I remembered how much I loved the body buzz from Paradise Seeds’ Sensi Star. As soon as I got home, I got these little pebble-shaped nuggets under the light (just long enough to take in the beauty) and then into my glass bong! I opened up the jar and the chronic released a rich aroma with a unique combination of citrus hints and underlying metallic tones. Under close visual inspection, the grassy green buds, woven thick with luscious copper-toned orange trichomes, hosted a generous layer of kief crystal resin that was uniform in nature, covering every bud on my table. I broke up a little nugget and an earthy tone infused with piney forest scents featuring a subtle hint of eucalyptus emerged. I couldn’t believe how much weed broke out of one little nugget! Those buds were ridiculously dense. My mouth watered as I made my way to the couch. When combusted, this full-bodied cannabis strain surprisingly delivered a very smooth and thick smoke that was pleasant to inhale and easy on the lungs. Upon inhalation, the lemon flavour filled my mouth. Upon exhalation, the metallic undertones picked up. When vaped with the Arizer V-Tower, that same tasty smell produced by some bong hits made its appearance again but with subtle flair. Still, a full-bodied earthy aroma emerged upon busting, but the smell did not linger for long and quickly dissipated. I enjoyed slowly inhaling the thick vapor it produced and was surprised that the metallic undertones were gone, and I was left with only smooth lemon mixed with earthy-pine flavors. Please be warned, if you have things you’re planning to get anything done, re-think using Sensi Star for any type of motivation! 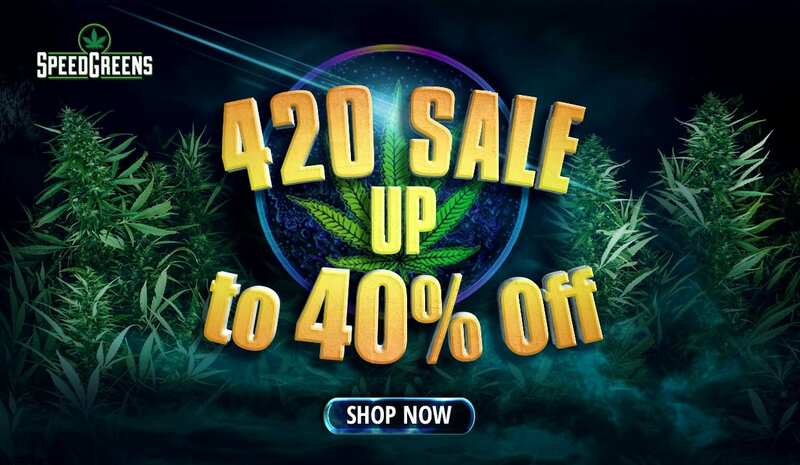 At a whopping 90 percent Indica and up to a little more than 20 percent THC (in the most potent strains of Sensi Star), this chronic is as heavy-hitting as they come. Just go with it. After my ten-minute session with Sensi Star, I had already become “one with my couch”. My intentions were good, but my to-do list suffered that night. It was worth it for the deeply-relaxing, body buzz Sensi Star is known for and I would do it all over again. Surprisingly, I didn’t knock out right away but stayed paralysed on the couch for an hour or more, before I drifted off to Netflix. 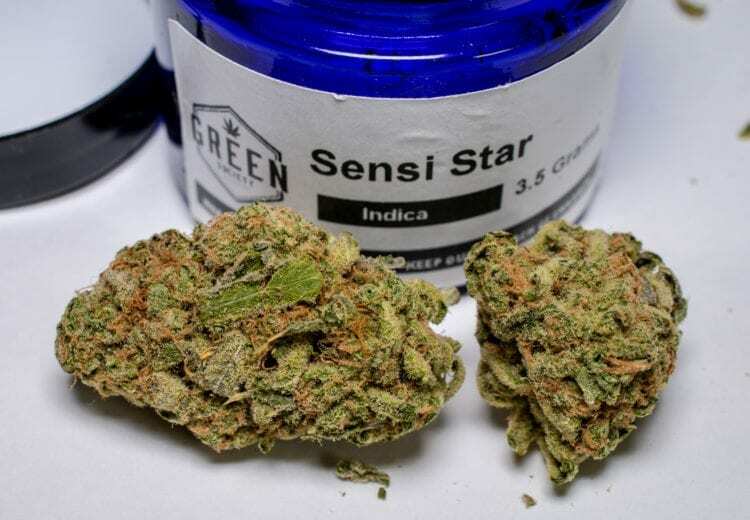 Green Society’s Sensi Star strain can be used to help treat a number of symptoms and conditions, including (but not limited to): anxiety, insomnia, glaucoma, rheumatoid arthritis, chronic pain (most times), fibromyalgia, depression, eating disorders, and mood disorders (as directed). Hashish has been consumed for many centuries; first in Egypt, spreading outwards throughout the old world. 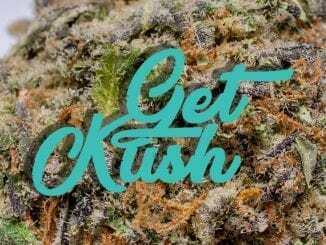 The first consumers of hashish ate it as an edible because smoking wasn’t popularized until the 16th century with the introduction of tobacco. Green Society’s hash was relatively soft and pliable, being the perfect consistency for Afghani Temple hash. The colour was a rich and vibrant dark brown. There was a slight woody, musky and clove smell that waifed into my nostrils, after I broke open the small, dark ball. I rolled the hash into a joint and basked in the woody aroma that the hash produced. It created a large, aromatic plume, that descended into a beautiful incense around the room. Green Society’s Afghani Temple Hash also had an impeccable flavour, adding a luxurious tannic flavour to the joint; as well as, the rich flavours of wood, spice and a slight hint of cinnamon and clove. The deep body high that Green Society’s Afghani Temple Hash produced was a relieving, muscle relaxant. All of my muscles quickly released their tensions and my anxiety lessened. The buzz of the hash lasted about 30 minutes; followed by a beautiful, calm and lovely afterglow that allowed me to have a pain free night. 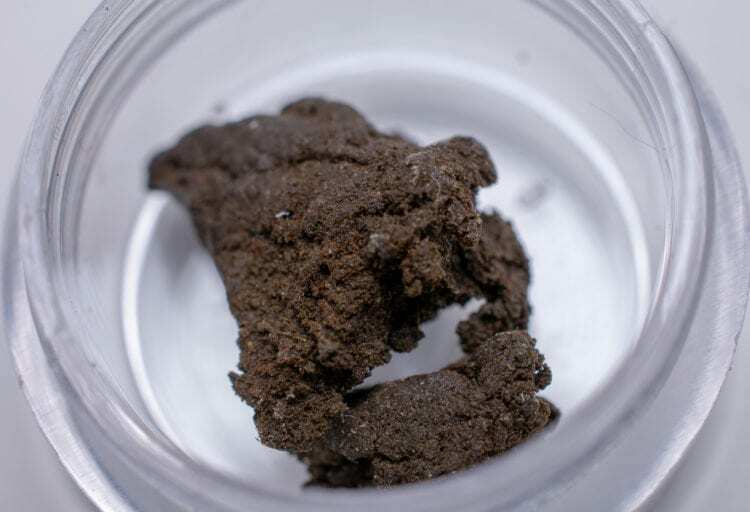 Green Society’s Afghani Temple Hash is an indica dominant hybrid that can test up to 55% THC; powerful enough for novices and experienced users alike. 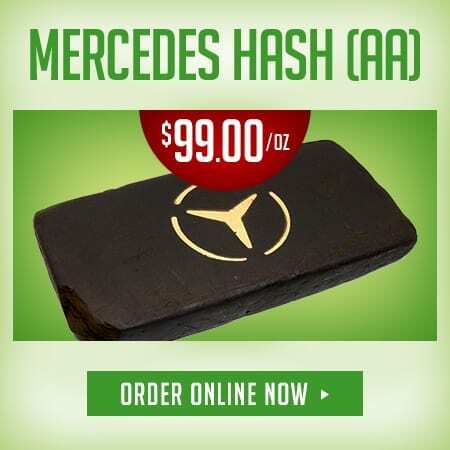 The hash can be used, in addition to other medical conditions and symptoms, such as: insomnia, chronic pain, muscle spasms, fibromyalgia, multiple sclerosis, migraines, appetite loss, nausea, depression, anxiety and other mood disorders (as directed). 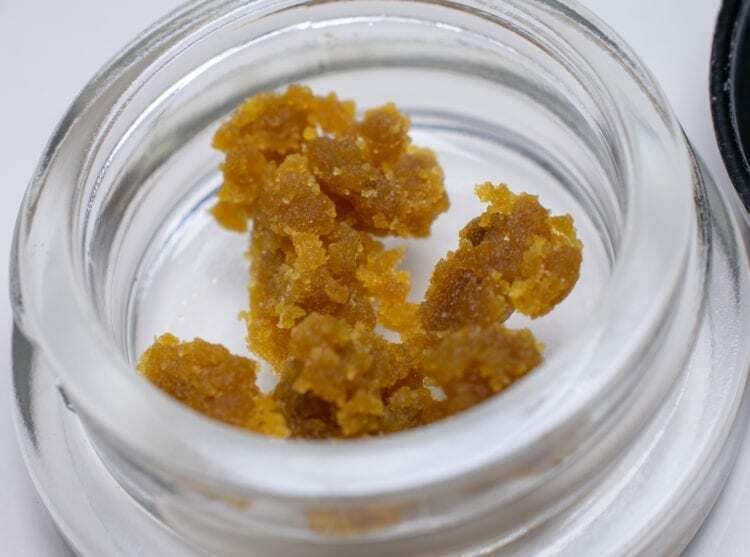 Live Resin is a type of cannabis concentrate that uses a complex method of harvesting and then freezing the cannabis (without the typical drying and curing phase), to produce a concentrate that contains all of the terpenes typically lost during traditional methods of harvesting cannabis. This innovative new method of concentrate productions allows the concentrate to retain its original flavour and aroma profile. Green Society’s High Heat Extracts Lemon Zest Live Resin was a gorgeous, honey amber colour, that had a moist, silky and crumbly texture, making it easy to load the live resin into my dab rig. The texture resembled tiny, golden sugars, with each individual crystal bonding together in solidarity. The aroma from the container, as I opened the tiny jar, was overwhelmingly of potent lemon. I was amazed that such a tiny container could reproduce lemon so strikingly; while also, having a slight sweetness and a strong, underlying earthiness, that melded together in a delightful amalgamation of potent fragrances. The aroma was so potent at first; when I first opened the jar, that my mouth started watering in anticipation of that first dab hit. Green Society’s High Heat Extract Live Resin was as beautiful and potent as my taste buds promised. The dab burned clean and the potent terpene profile from this concentrate was apparent as soon as I inhaled. The smoke felt clean and I inhaled and exhaled without a cough or problem. The moment you use Live resin; in comparison to, other concentrates is the moment you understand the price differences. Lemon Zest Live Resin, by High Heat Extracts was beautiful and smooth to smoke. The high was also powerful and uplifting, giving me a creative boost to push through my day. The potent lemon flavour and aroma was by far the most dominating feature of this live resin and I thoroughly enjoyed using it multiple times a day for a boost of energy and creative potential. 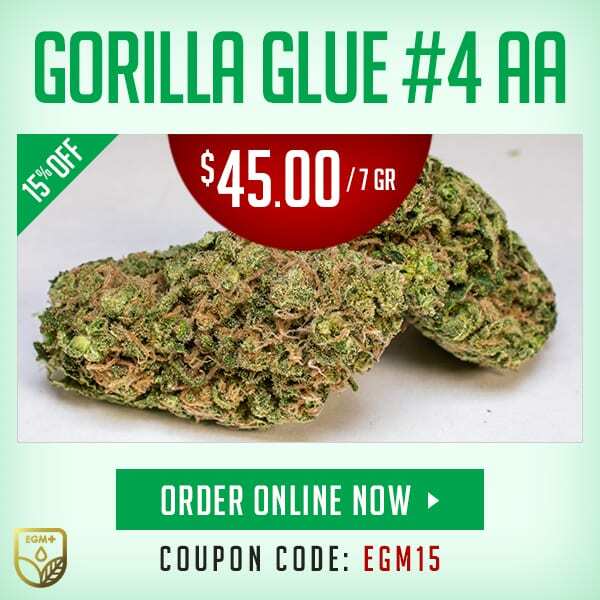 This extract can also be used to help treat multiple symptoms and conditions, such as, fatigue, nausea, migraines, ADHD, PTSD, fibromyalgia, multiple sclerosis, parkinson’s disease, chronic pain, depression, anxiety and other mood disorders (as directed). 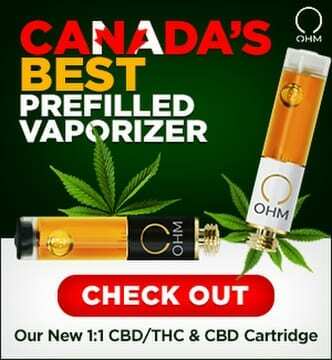 With legalization in Canada now being a reality; it’s imperative to find a reliable and trustworthy source for your cannabis needs. 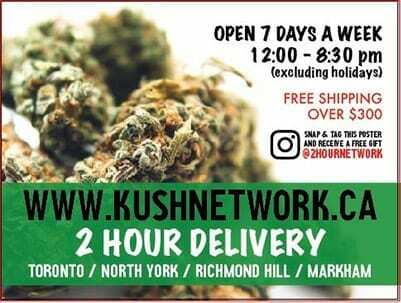 GreenSociety.ca provides consumers a safe and user friendly way, to purchase their cannabis and/or cannabis related products. 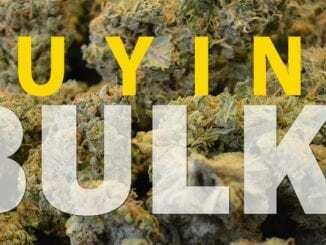 Green Society also offers a few incentives, such as loyalty points and free shipping over $150. 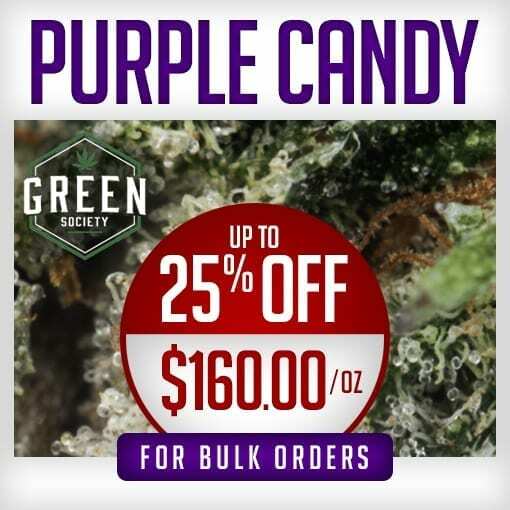 Another great feature with Green Society is that they have value packs; not just for flowers, but for edibles and concentrates as well. 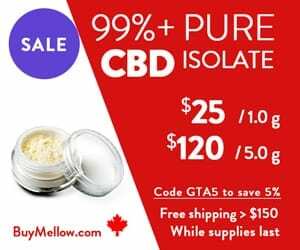 Until concentrates and edibles are offered by the government, GreenSociety.ca has become the best online dispensary that can (and will) meet all of your needs. 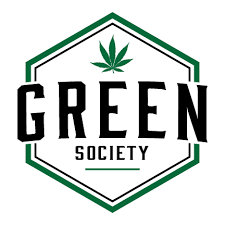 Let us know what you think about Green Society in the comments below.